Styled with nevio pant and christos blazer . This scoopneck bodysuit is made from stretch Italian jersey and double-layered for a super sleek look. It has a thong cut, and the convertible straps can be worn criss-cross or straight. The model styling shows this worn with pants and a blazer, so I didn't anticipate it being so heavy on the sideboob - and I'm not even large chested, I'm like a B cup and they're spilling out the sides! 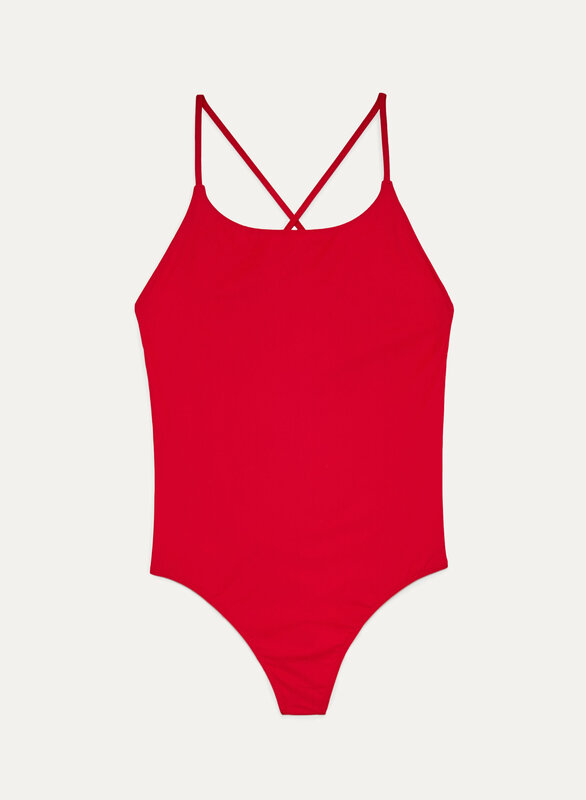 I thought it would just be a nice basic wear-with-anything bodysuit, but it seems more appropriate for a revealing beach day. I bought it on sale and I don't want to return it for store credit, so I'll be keeping it a little begrudgingly. The material is also much more similar to a swimsuit than I anticipated. It's a nice color and still looks good, I was just very surprised at how different it looked on me vs. the model. I love this bodysuit, it fits true to size and sits very nicely on the body. 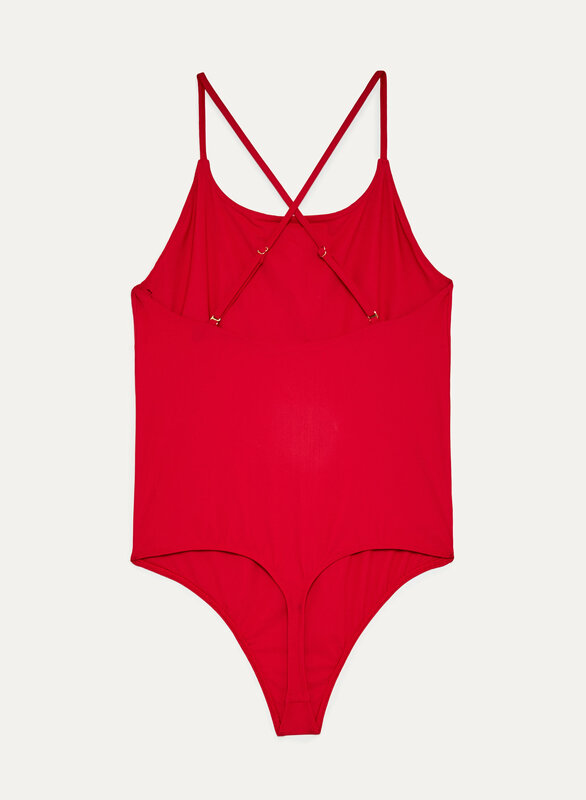 The bodysuit is very much like bathing suit material. It sits nicely against the skin but is quite thin. I purchased the red colour and the yellow colour. The red is great, the yellow is slightly see through. I have a longer torso for my height so the adjustable straps make it much easier to get a comfortable fit. Overall I like the bodysuit and will wear them regularly in the summer with shorts or pants, however because of how thin the material is I likely won’t wear it to work. The fit is true to size, however I did go up one size because I knew it would give me a bit of extra length in the torso.